In 2017, John Avalos was hired as SOSi’s first chief operating officer, charged with leading day-to-day operations of the $300 million company with more than 800 employees worldwide, including 300 in Northern Virginia. 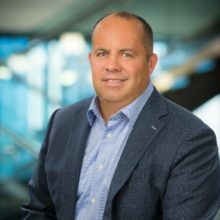 In his first six months with SOSi, he led integration of the company’s second acquisition, Defense Group Inc., a data analytics and cyber solutions firm in Vienna, Virginia, that serves the intelligence and national security community. The acquisition expanded SOSi’s customer base, adding new technical capabilities in cyber intelligence. He also spearheaded the hiring of SOSi Senior Vice President of Business Development Michele Cook, tasked with leading the company’s aggressive growth targets for the new year. In 2018, Avalos and the SOSi team will focus on penetrating new markets to identify new customers and offerings. Avalos will lead the company’s continued efforts to grow organically and help identify new acquisition targets. Also essential in 2018 is the continued maturation of SOSi’s back-end infrastructure as the company plans for future growth.